An Angler's delight! 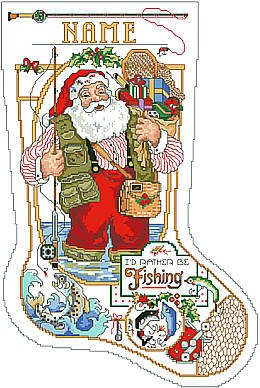 Santa has "Gone Fishing" until he's pressed into service on Christmas Eve. 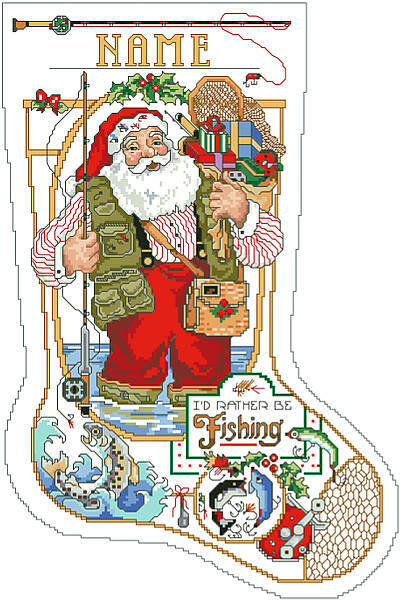 A perfect stocking for the fisher person in your life. Contents: Stitch Count 141w X 217h, finished size on 14 ct, 10" X 15-1/2"